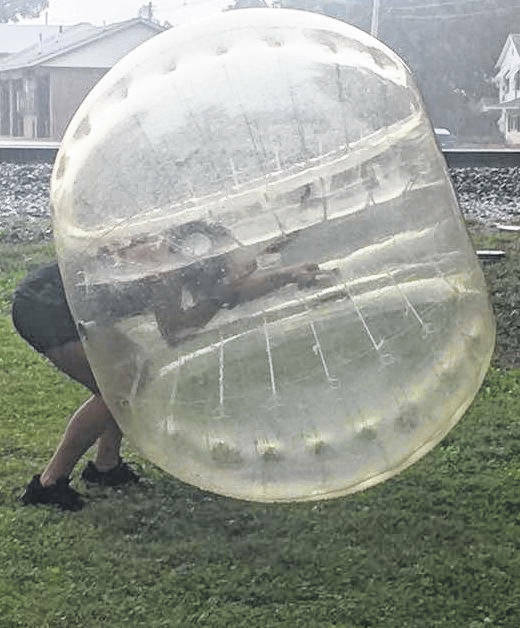 Youngsters attempted a game of bubble soccer as the rains came down Friday night. 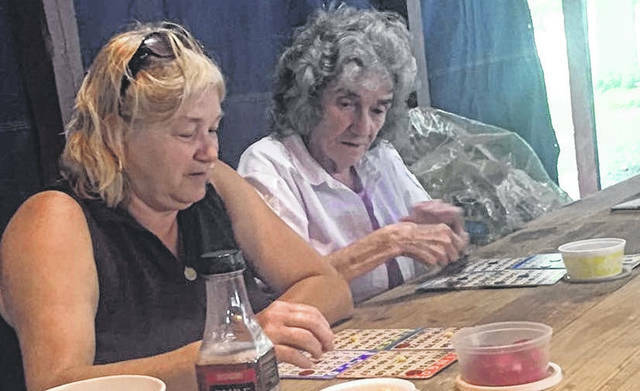 Under the shelter at American Legion Park, Gail Sheldon and Janice Sherman played bingo. The festival continues Saturday. It was estimated the attendance reached 2,000 during the event which began Friday evening and continued through Saturday. McGuffey Lane topped the entertainment and the Fireworks sponsored by CYT capped the event. Cardington Mayor Susie Peyton was pleased.